I have been interested in contemporary dance for a while and don't have any background in ballet or any professional dance training (I know a little bit of salsa). So happen I have a talent show end of this month and I am just wondering if there is anything that I can attempt in dance since I love dancing. I understand that this website has been very much focusing on professional discussions on contemporary dance, choreography, etc. I am wondering if I want to learn something simple, for a piece of music that I would like to express through dance, is there any professional help/trainer that I can go to make this happen? I will appreciate any feedback or even comments if this is something too ambitious / not feasible or any advice on how I can pursue a hobby in dance. I don't think your idea is too ambitious or not feasible, even more considering that you are located in London, where you can find a lot people that know contemporary dance and that could give you a hand. For your talent show, you could search for any dancer or choreographer that would help you create and rehears a short choreography. Something that lasts three to five minutes would be enough for a start. The difficult part in these cases is if dance professionals have the time or disposition to do it, because it is important to understand that this is our job, so we need to earn money from doing dance. 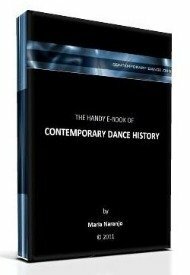 If you happen to have a friend that has some knowledge of contemporary dance, maybe that person could help you. Another option is to pay for that help, as if you were paying for dance lessons. That would make the search a lot easier. You also have the alternative to improvise to the music of your choice and bravely create a first dance on your own. That is actually one way of creating contemporary dance in its deepest essence, yet I understand that doing something like that might be difficult or scary. To pursue a hobby in dance, I would recommend you to profit the huge offer you have in London and start taking classes for beginners or amateurs. It would be a good thing not to stick to just one school for ever, but to start trying different teachers and places, so that you make your self a broader idea of what contemporary dance is. I will provide you three links below. The first one is a link to our directory of schools, where you can search for someone to help you create the piece for your talent show and places to continue taking contemporary dance classes. The second link goes to our page for examples of contemporary dance videos. Those are professional dancers there, but you can think of ideas for your own piece watching them. And the last one goes to the website for the TANZ FORUM BERLIN. If you follow that link, you will find a page with a lot of trailers about dance. Those works are done by high level and mature artists, but watching that can give you a feeling of how free you can be with the choreographies you create. I wish you a great dancing experience from now on.